Chorley-based Utiligroup, part of global business ESG and a leading provider of software solutions and services to the energy and utilities industry have been presented the award for Innovation at the North West Business Masters Awards 2018. 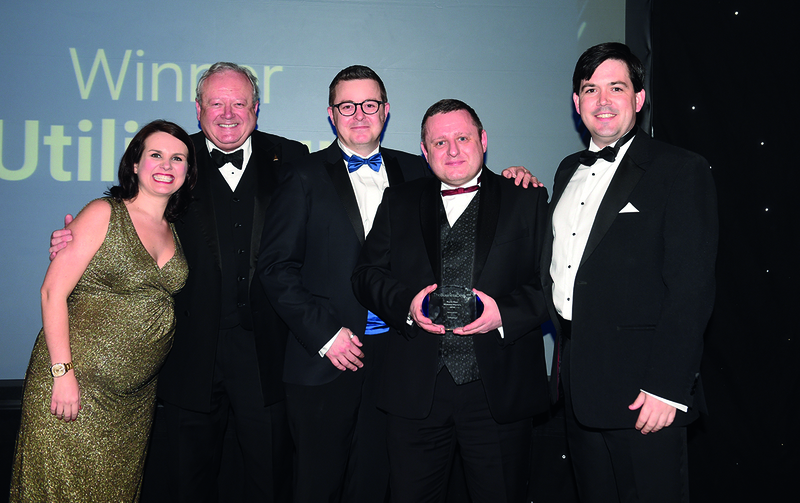 Utiligroup were selected from amongst hundreds of nominees to become the overall winner in the Innovation category at the awards dinner on the 19th April at the Midland Hotel in Manchester. Being recognised for the innovation award is a great achievement for the company and recognises the forward thinking and strategic planning that the company has invested over twenty years. They have been able to demonstrate exponential growth across all areas and invest in key areas of the business such as technology and talent thus enabling them to support 75% of all challenger suppliers that exist in the market today. This in turn benefits millions of energy customers financially as it allows them the opportunity to switch provider and ultimately receive cheaper energy bills.